By its own nature, humanities and social sciences (HSS) strive toward a dynamic exchange of ideas, since theoretical bases, provided by their research, undergo a constant procedures of critical rethinking prior to their experimental testing and practical application. The idea of Open Access (OA) and its accompanying infrastructure seems to be a natural response to the needs of HSS researchers since it provides a platform for a reliable and sustainable source of ideas to be tackled in academic papers and research projects. Many research and academic libraries have been facilitating the change to OA by creating institutional repositories, supporting OA policies, and hosting OA journals and at the same time finding support by information sciences researchers dealing with the topic. This interplay of academic and technical support has been recognized and steadily introduced at the Faculty of Humanities and Social Sciences at the University of Osijek since 2011 when an internal institutional digital repository of student BA and MA papers was established. At the same time the need was felt by the Faculty management to enhance academic production of its researchers in their research activities by providing financial support through the so called Research Fund, first time established in 2015. The idea behind the Fund was to streamline the state funds toward individual researchers according to their needs in both planning their personal and institutional research strategy. Both of those practical decisions have in their background the motivation to promote access to knowledge and its benefits to the society at large, since the idea behind OA is that public funded research should be freely available to public (UNESCO Open Access Infrastructure 2015). 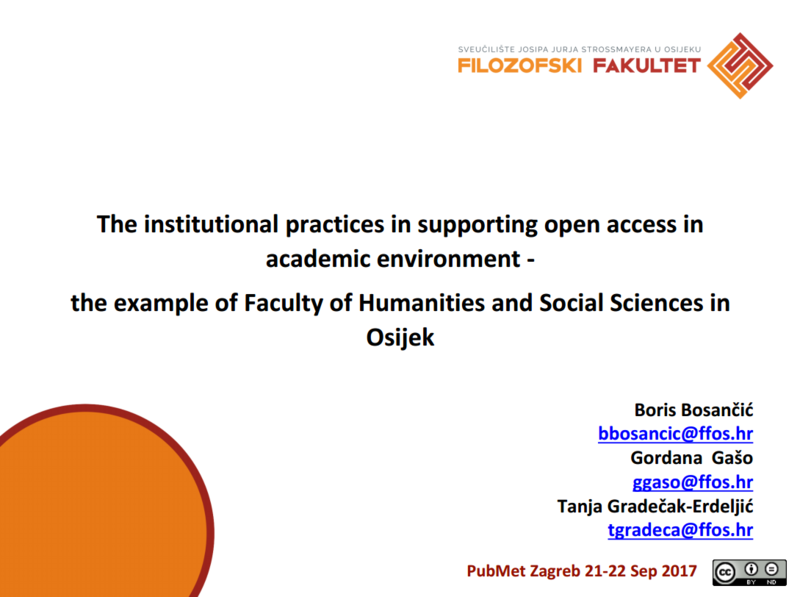 Aware of a certain degree of reluctance among HSS researchers at our Faculty to accept the OA approach to academic publishing and authorship (Gašo et al. 2015) our study aims at establishing the perceptions of OA among researchers at the Faculty regarding their knowledge of the principles of OA, self-archiving and the mechanisms of its promotion through financial support of such activities from the Research Fund. The online survey was designed which should yield the quantitative results across several aspects of OA mentioned above, and the in-depth qualitative analysis in the form of interviews with the interested parties will be conducted. 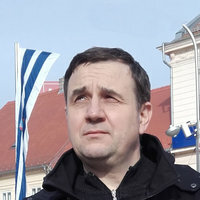 Its results will be compared prior and following the planned training of all researchers at the Faculty with an aim to improve the perceived perception of OA publishing among them and to promote the idea that the “library-as-publisher” role offers the potential to transform academic and university-specific publishing activities (Gross and Ryan 2015).